This is a test legacy, with no rules published, to learn the game. The only rule is no cheating. Screenshots are titled with the date and time instead of Screenshot-2 etc. 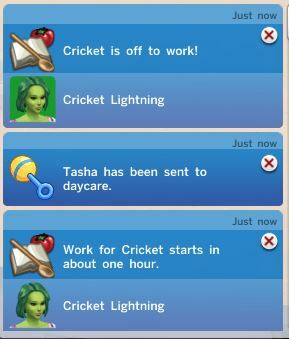 The founder of the legacy is Cricket Lightning. 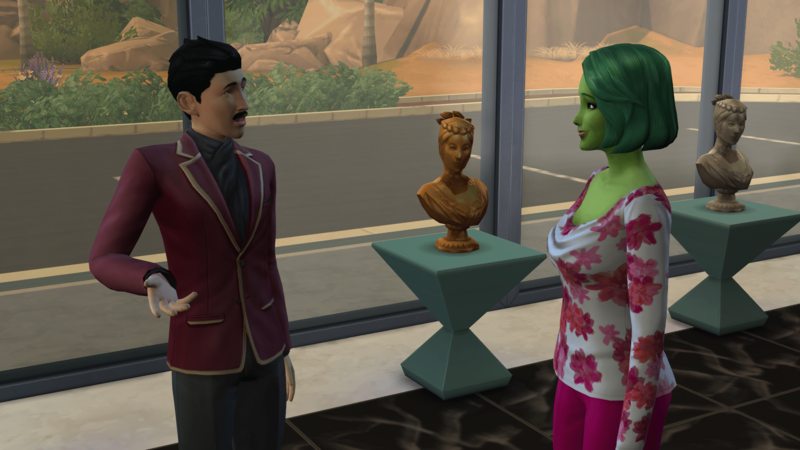 Cricket heads to the museum where she meets Mortimer Goth. He is already married to Bella so Cricket heads back home. 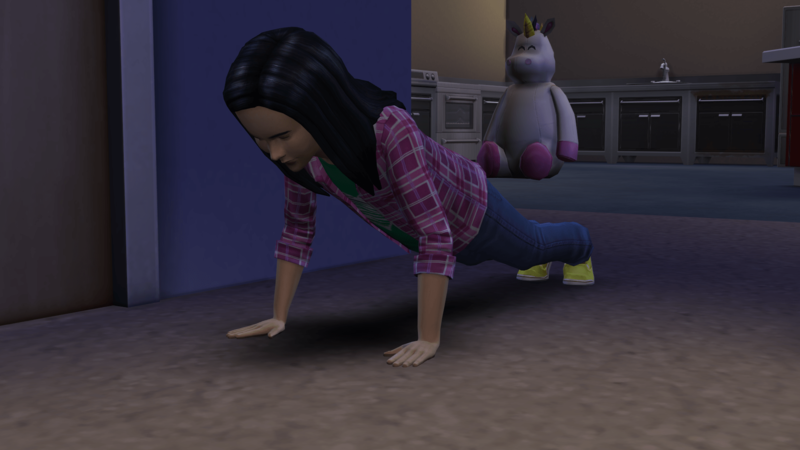 A random jogger decides to stop for some pushups. 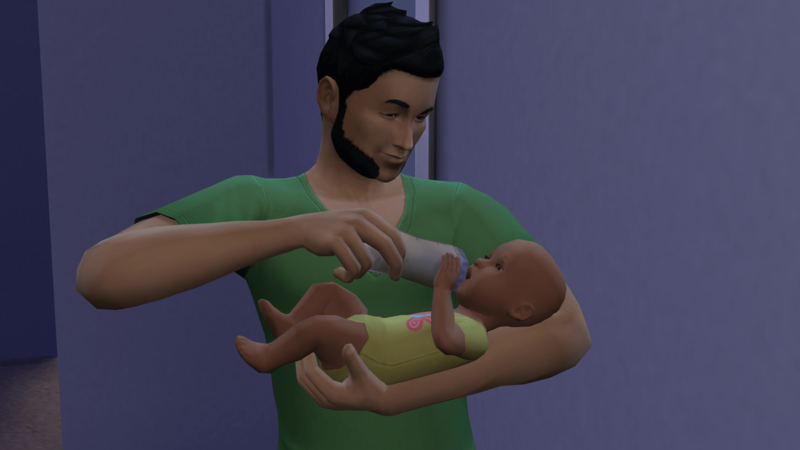 Cricket has her first meal in her new home. 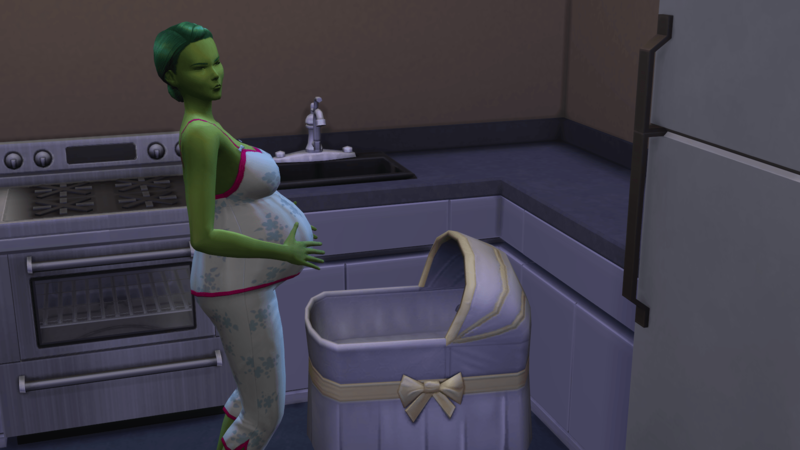 She has joined the Culinary career and will be cooking a lot. After crashing and burning with Sri Hardy, a lounge bartender, she meets Russell Ashton as he is walking past her house. They quickly hit it off but have a few miscues while trying to get engaged. First he rejects her proposal, but agrees to move in. 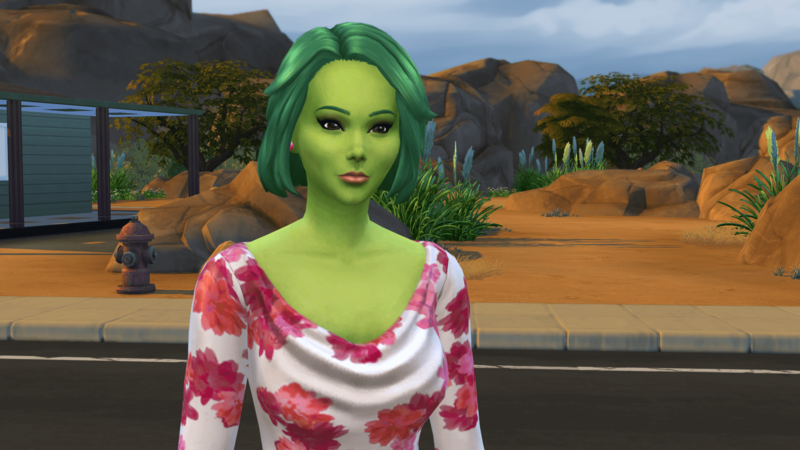 The she rejects his proposal but offers to apologize with woohoo. Finally, with a baby on the way, they manage to get engaged and elope. 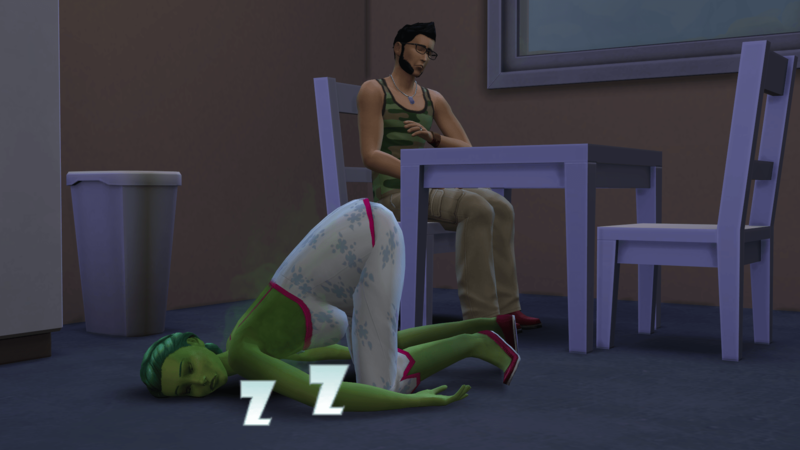 The pregnancy is hard on Cricket. 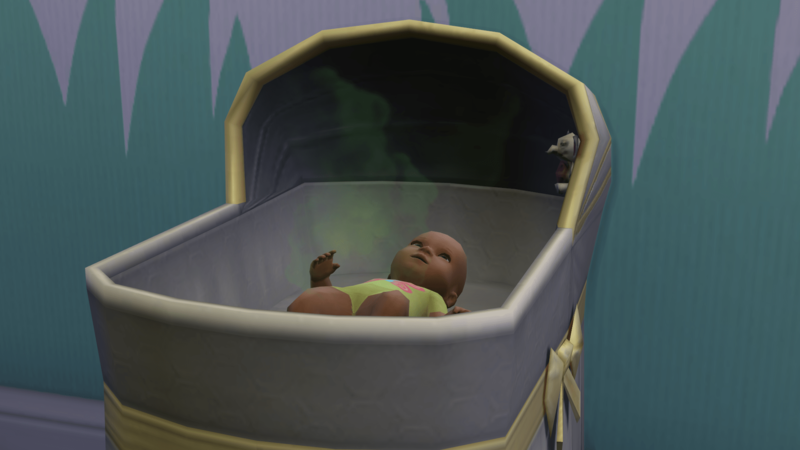 She is still working full time (what is maternity leave?). 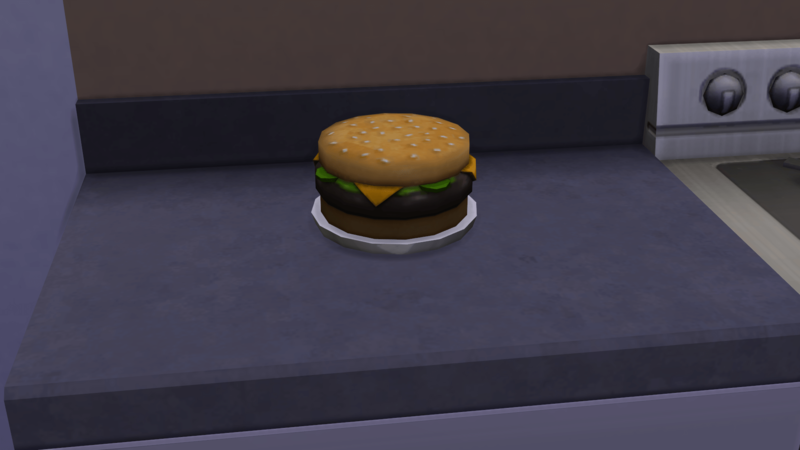 One of her gourmet cooking options is the Hamburger cake. 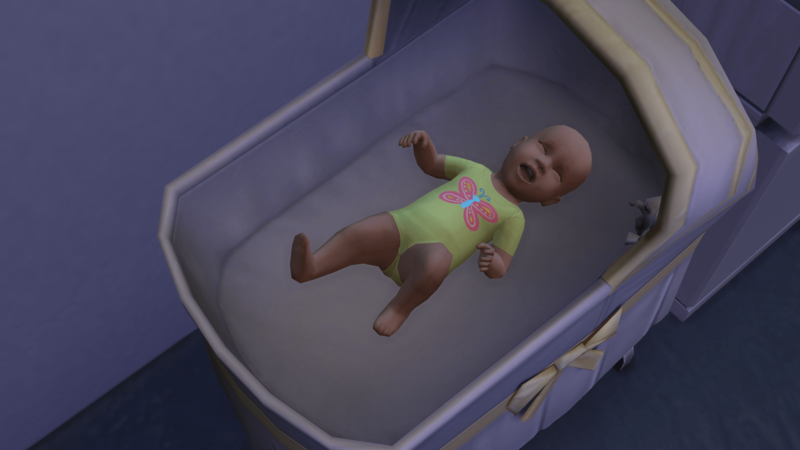 Finally the baby pops out. 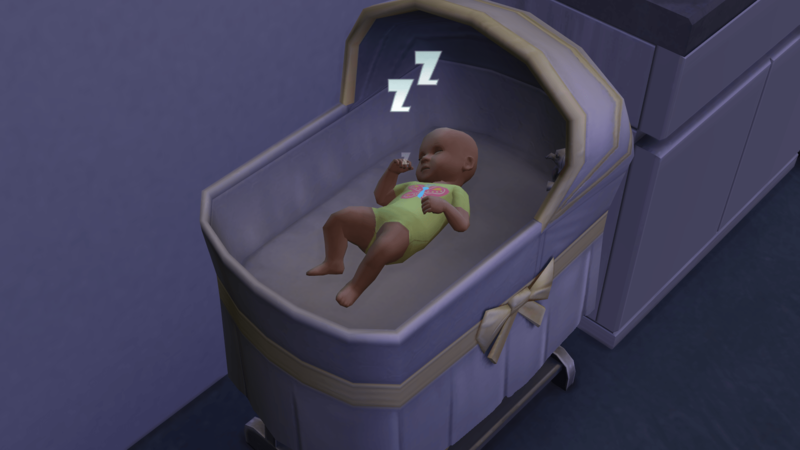 It is a good thing Sim Social Services provided a complimentary bassinet as they had not yet added a nursery on to the house. 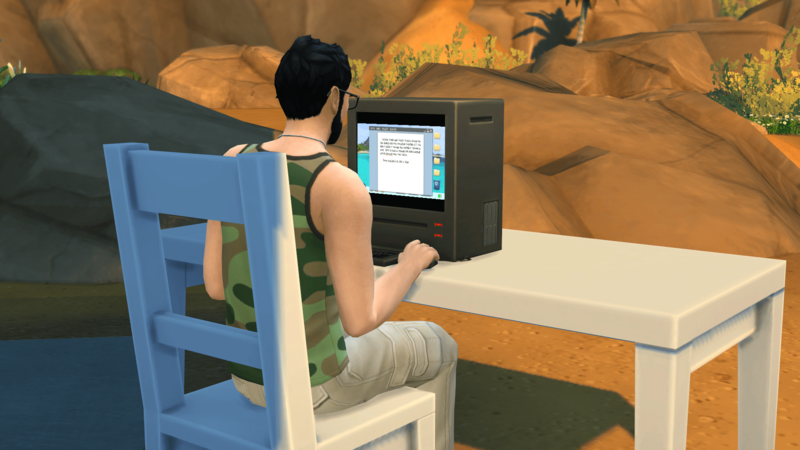 Russell buys a desk and computer and begins working on his comedy writing. He joined the Entertainer career with the plan of becoming a Joke Star. 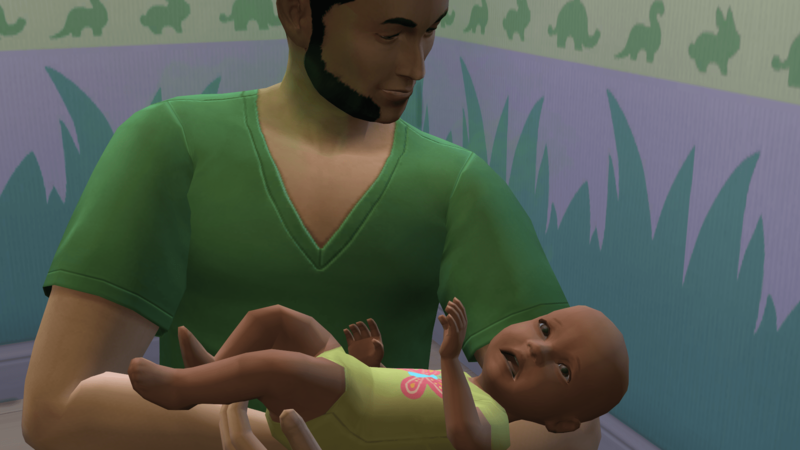 Tasha jumps out of her crib ready to take on the artistic world. After a brisk shower she pumps out a few pushups. 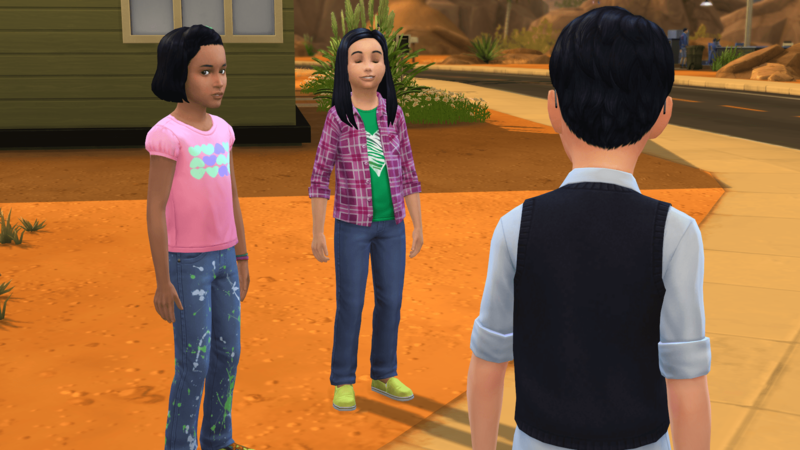 Her first day of school doesn’t go well and Tasha comes home Sad. Her parents spend time with her trying to cheer her up and giving her advice. Along with hugs and cuddles. She makes a friend with Olivia Spencer-Kim-Lewis. Seriously, that is her name. 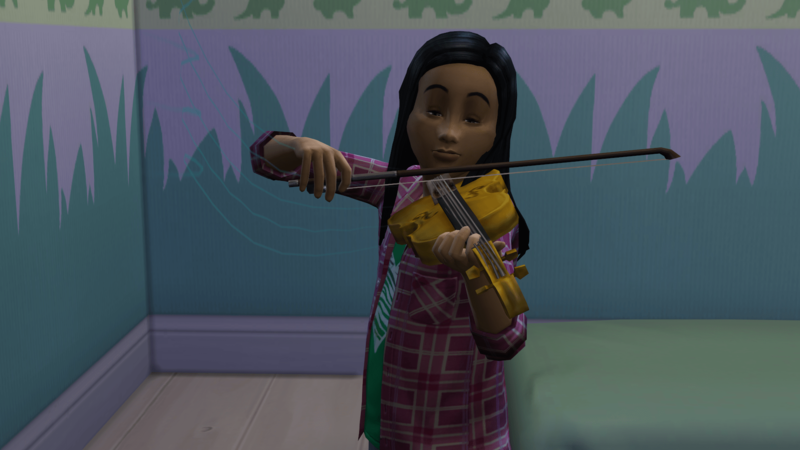 Tasha spends her spare time playing violin. How funny! I was online with you, and we were chatting, and it was like I was there! The jogger doing push ups and Cricket striking out with the bartender, LOL! 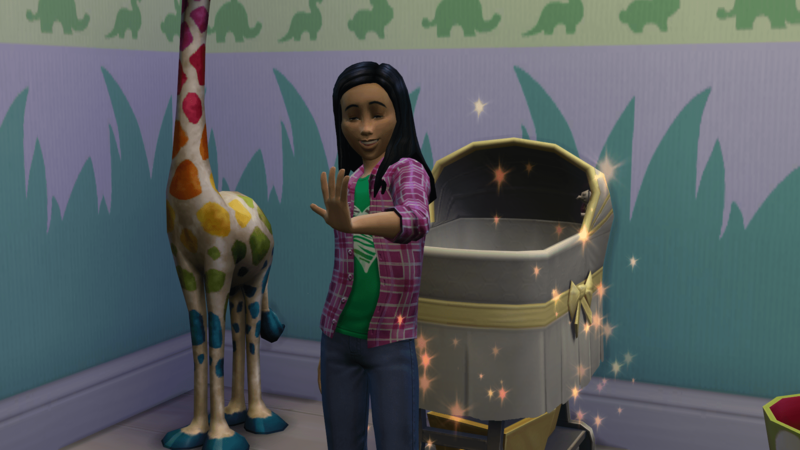 I have to admit, bassinet to child is pretty startling… The baby looks pretty cute though!